Yes, it did all come together, and in gorgeous fashion! I love it! The piecing in the binding is a great finishing touch. I like to add a little twist to my bindings on occasion and really love how this binding ties in with the quilt! Do you ever throw anything away? So clever and yes, quilts do talk to you although you have to listen to hear them. I love seeing what you make with your tiny scraps and you never disappoint. You are obviously a very good listener, a wonderful finish jayne. I’ve tried throwing away more and more, but every once in a while I find some pieces that require my attention! This one was very ‘loud’ at letting me know what it wanted…I couldn’t sew fast enough! It is adorable!!! 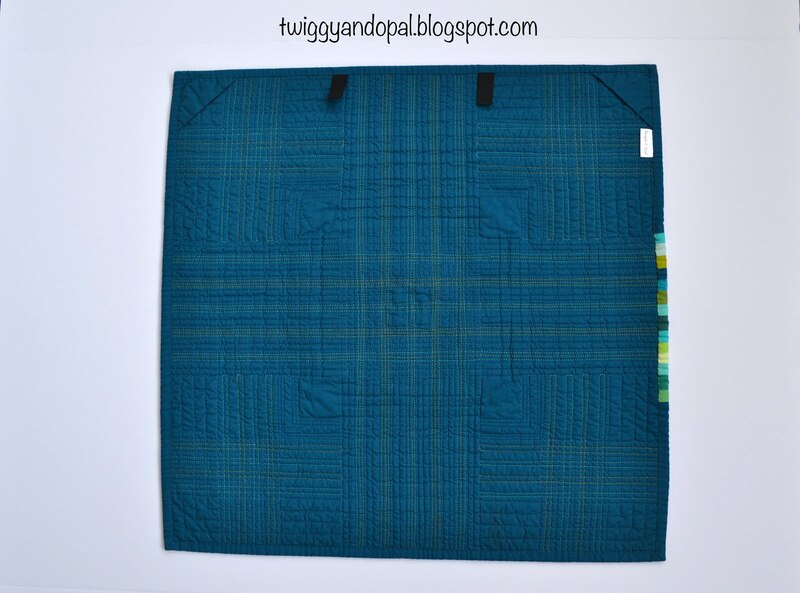 And I love the plaid quilting, mist incorporate that in one of mine. LOVE the quilting. Very cool! I love this one, Jayne! I have had only one or two quilts take me on a ride like that! It is a super cool, fun thing, for sure! It doesn’t happen often when we are guided by that voice, but I sure love when it happens! 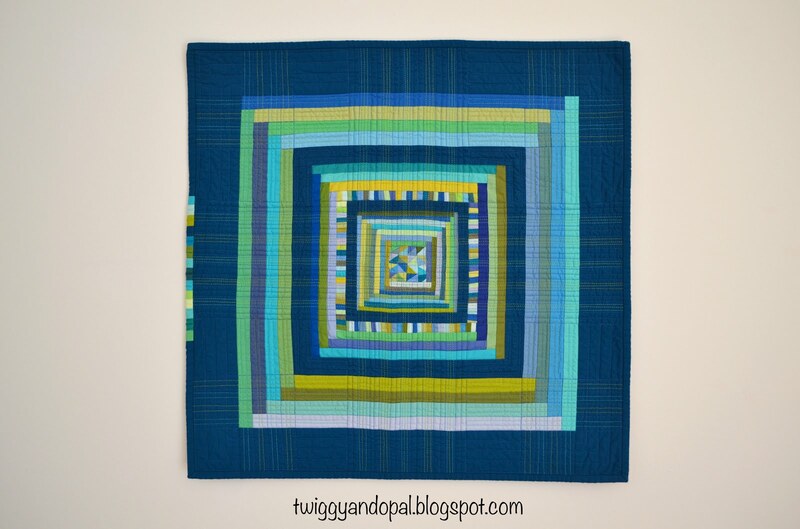 I have a horrible time naming quilts too, Serendipity is perfect for this one! Love the finish and that pieced binding is the perfect finishing touch! This turned out great! 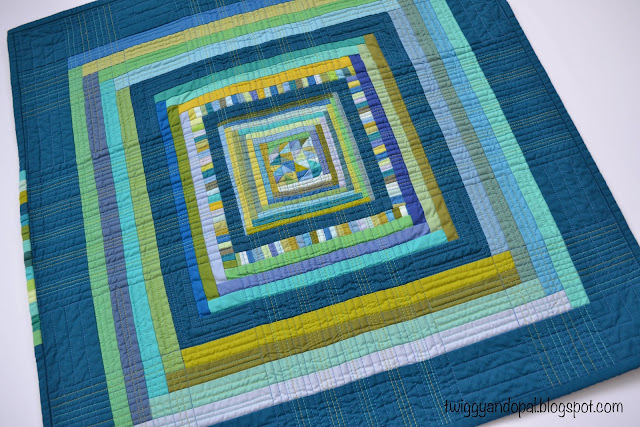 What a fun quilting plan you went with - I love the different threads. And that binding bit - perfect! I love how you quilted it, especially in the four corners ! One more interesting Finish ! ps : My quilting projects are always speaking to me ... Weird, isn't it ?! Love the quilt. A small art quilt with a beautiful story. And great listening skills you have - I think I could work on mine. And finding quilt names... no, really not a strong suit here either. Love your quilting!!! And yes, my quilts talk to me, too. Sometimes it's a whisper. Gorgeous! 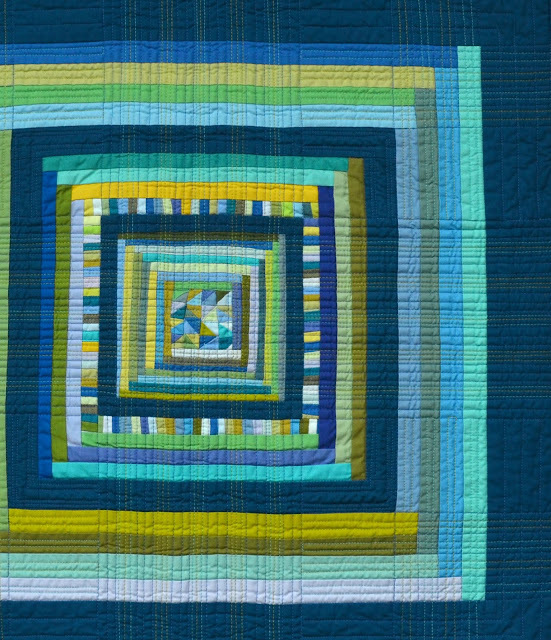 I love everything about this- the design, the colour palette, the quilting! And the name is perfect too! I love naming quilts, and have this word Serendipity waiting its turn for the 'just right' quilt! That is gorgeous. I guess those teeny, tiny HSTs did not want to be all alone. 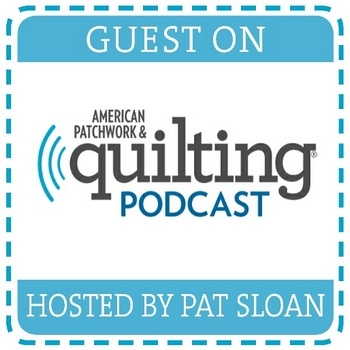 And of course my quilts talk to me (wink, wink)! 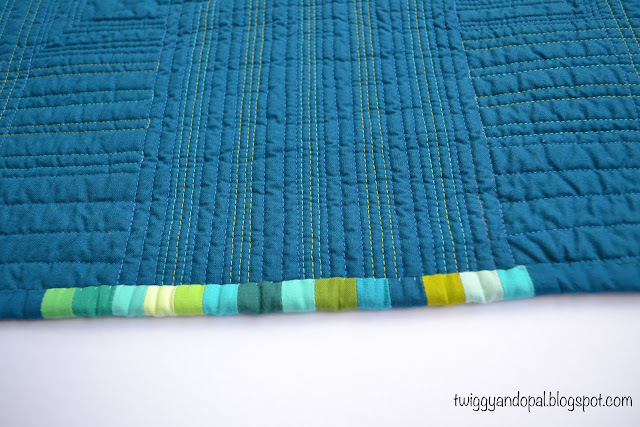 I love a good straight line quilting motif! Plaid is a most excellent choice, and Serendipity is a most excellent name! I name most of my quilts, although a few seem to be nameless. I don't label them with their names, though, just with my generic labels. And yes, they talk to me. Usually what they have to say is who the recipient is. If they tell me while I'm actively sewing them, I stitch good thoughts into the quilts with that person in mind. If they are silent, I just trust that later the finished quilt on the shelf will stand ready, waiting for just the right person! Great finish! I love how you combined the different thread colors to create the plaid quilting design. Beautiful finish! I wish more of my quilts talked to me. Half the time, I'm stuck on what to quilt and a little suggestion on the quilt's part would be helpful.